Welcome to Touch Screen Mobile World! Welcome to the mobile phone blog. It is in reviews and introduction of Apple iPhone and touch screen mobile phones. In the recent updates all the manufactures trying to sell the mobile phone as a touch screen phones. Apple iPhone is a big name in the world of mobile phones. Because it has sold a large number of iphone. Customer of iphone has been increased rapidly and mobile phone market has been changed as technological development. iPhone was not a mobile phone it was a technological device for mobile phone users. The iphone user can access all the web included video “YouTube” and handle much software. It was changed the world of mobile. After the success of iPhone most of manufactures has decided to launch touch screen with technological features. It was the competition in mobile phone market. Users also need to not a mobile phone but a mobile phone with latest technology. 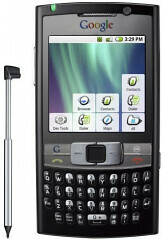 It was the development of web 3.0 which introduced this type of software with touch screen phones. In the series of Google Android mobile is 1st. Now, Google mobile is in main competition of iPhone. Along with Nokia, Blackberry, Motorola and Samsung trying to cover touch screen consumers. But I thing there is major fight now in this industry to get the customer.